The strategic partnership will be subject to various dynamics at home and abroad this year, though its basic direction will remain unchanged. Unlike Russia, which will be led by President Vladimir Putin in 2014, the political dispensation in India may change this year. The general elections in first half of the year for the lower house of the Indian parliament will decide which political formation will hold office in New Delhi. If there is a new government, Indo-Russian relations may take a new direction. The reliable pattern in India, despite change of governments, is that in foreign policy, political parties almost hold similar positions and particularly in case of Russia there is almost near unanimity to continue and further build on a strategic partnership. Besides the political dispensation in New Delhi, the economic health of India as well as Russia will also determine the relations. 2014 will witness the withdrawal of the US-led NATO forces from Afghanistan. India and Russia will play active roles to maintain peace and stability in the fragile nation and its neighbourhood. Both countries have already deliberated on this issue in forums including in SCO, BRICS and RIC. They are currently deliberating on joint projects for peace in Afghanistan. Afghan Ambassador to India Shaida M Abdali stated in New Delhi in December that “India and Russia will jointly help revive the (arms) maintenance factory. Experts have already met and are discussing the details”. Afghan President Hamid Karzai visited India in December to reiterate his country’s position as a traditional friend with India. The Indo-Russian partnership will also provide necessary bulwark to counter menaces of drug trafficking and terrorism in that region. Cooperation in energy sector will receive a fillip in 2014. Whether it is establishment of additional nuclear power plant units in Tamil Nadu, or the laying down of pipelines from Russia to India, or ideas to jointly explore energy resources – cooperation in energy sector will gain priority in policy making. About cooperation in the nuclear energy, one of the contentious issues is liability in case of mishaps. With prudence, it can be hoped that the leaders of both the countries will reach a new agreement and the work on the third and fourth units of the Kudankulam Nuclear Power Plant. We are also likely to see the second unit of the plant going live this year. Another major item of cooperation will be joint air force exercises. This will be first such exercise between the two countries. Though both have joint army and naval exercises, no such exercise has been conducted by the air forces jointly. The decision was taken during the visit of Indian Defence Minister A. K. Antony to Russia in November 2013. During the visit both the countries also agreed to strategise jointly on policies in the fast-changing global security scenario. The navies of both the countries will also hold joint exercise in the Peter the Great Bay in the Sea of Japan in 2014. Such joint exercises assume immense significance with increasing projection of both the countries to play determining role in Asia-Pacific. Defence relations will receive a further fillip in 2014. The 14th annual Indo-Russian Summit in 2013 emphasized on “cooperation in the fields of rocket, missile and naval technologies and weapon systems.” It will be no surprise if both the countries clinch major deals. The Indian Navy has announced plans for issuing a global tender for six conventional stealth submarines worth $8 billion. Russia will likely emerge a front-runner for this order. 2014 also marks the 50th anniversary of industrial cooperation between the two countries. The anniversary will likely witness a major bilateral push for diversification in economic relations, and a significant increase in bilateral trade. 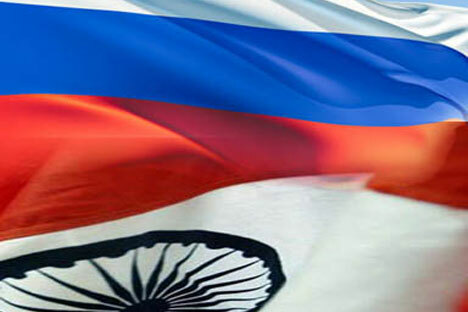 In various multilateral forums India and Russia will continue to play major roles. In 2014, the BRICS will adopt a new strategy to expand economic cooperation and the BRICS bank may become a reality. The emphasis will continue to be on evolution of a fair order in which multiple centres of power will have say in global decision making. On international conflicts whether Afghanistan or other conflict hotspots like Syria both the countries will coordinate their positions. In the November SCO meeting India’s foreign secretary stated India’s support to “efforts by Russia to craft common SCO positions on Afghanistan”, and desire “to join (such efforts) and the specialised meetings to focus on this issue”. The India-Russia partnership can be aptly summarized by the phrase ‘continuity in the midst of change.’ Bilateral relations have witnessed many ups and downs since the last two decades, but the friendship and strategic partnership have continued. The same spirit will guide the relations in 2014. The writer is an Indian commentator. His areas of interests include conflict, terrorism, peace and development, South Asia, and strategic aspects of Eurasian politics.